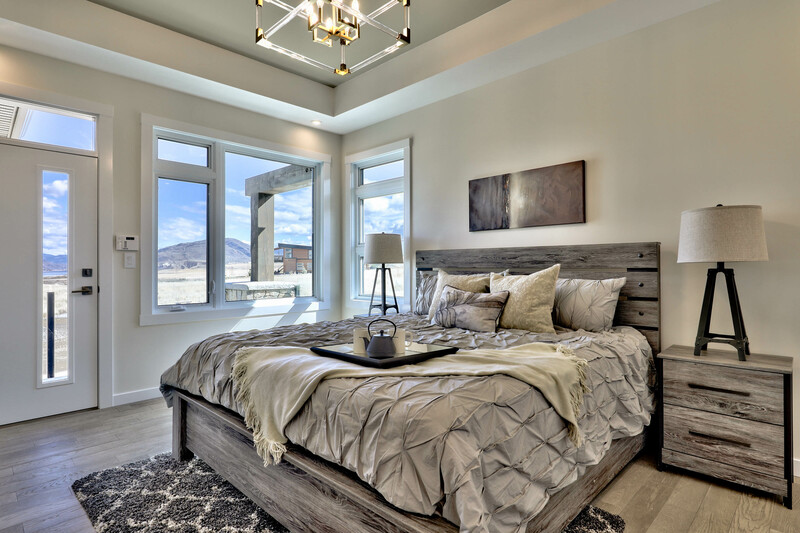 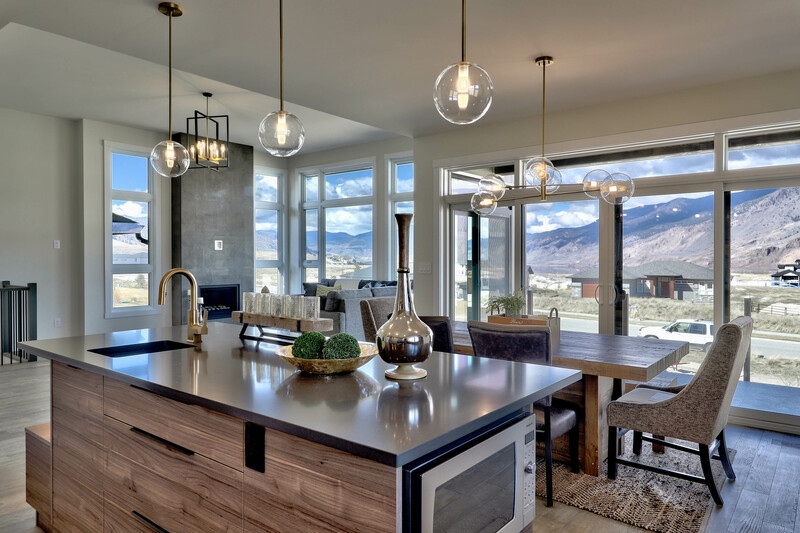 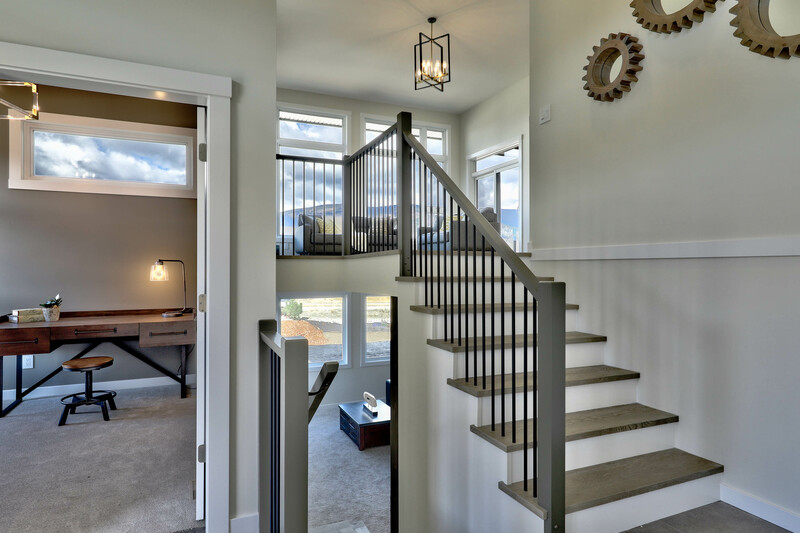 This modern west coast style home was designed as a stand-out, luxury, corner lot home to showcase the Tobiano style. 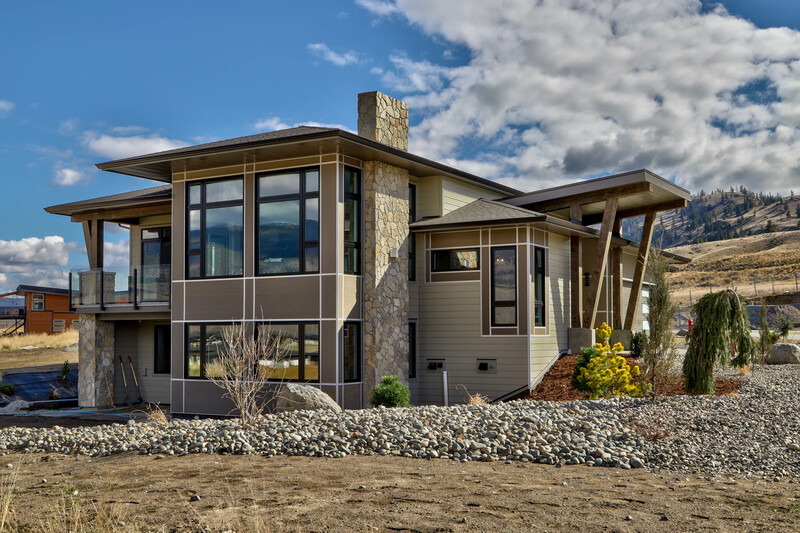 The home was specifically designed to take advantage of the location with both East and West views of Kamloops lake. 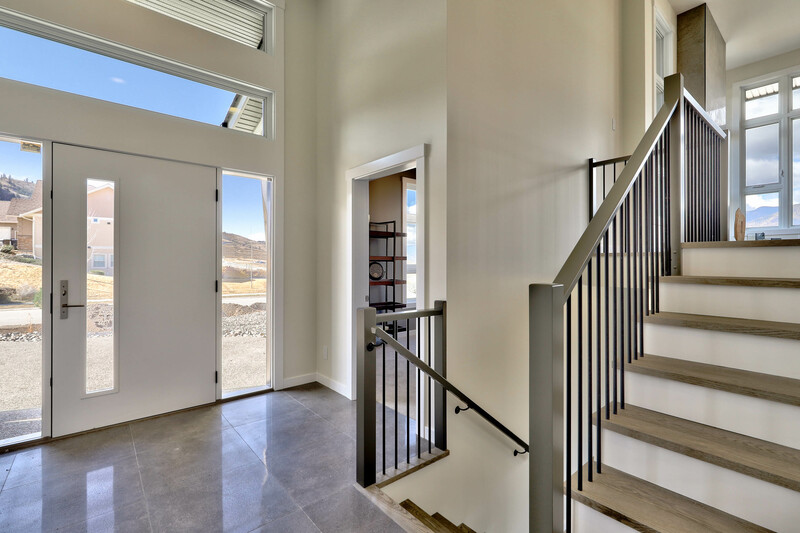 The split-level entry creates a feeling of openness that echoes the stunning mountains surrounding the property. 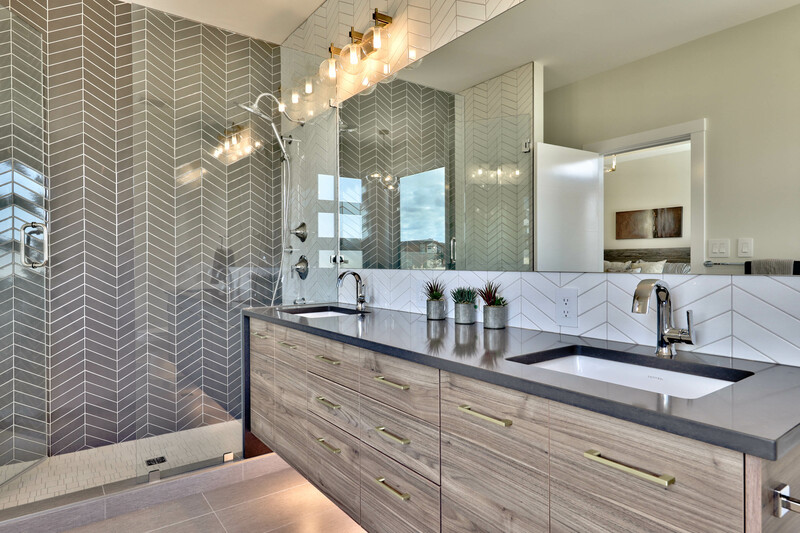 We were excited to partner with some incredible members of the Kamloops community make this design possible. 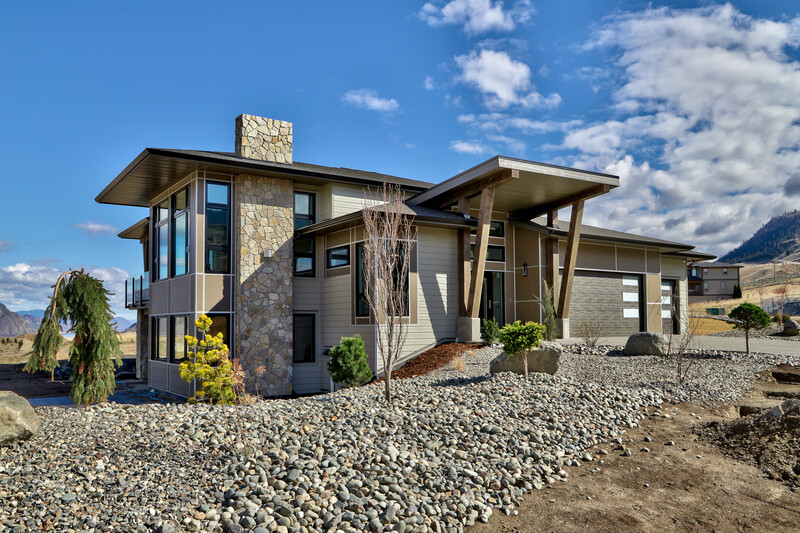 The building was completed by Thompson Rivers University trades students, in partnership with the Canadian Home Builders Association. 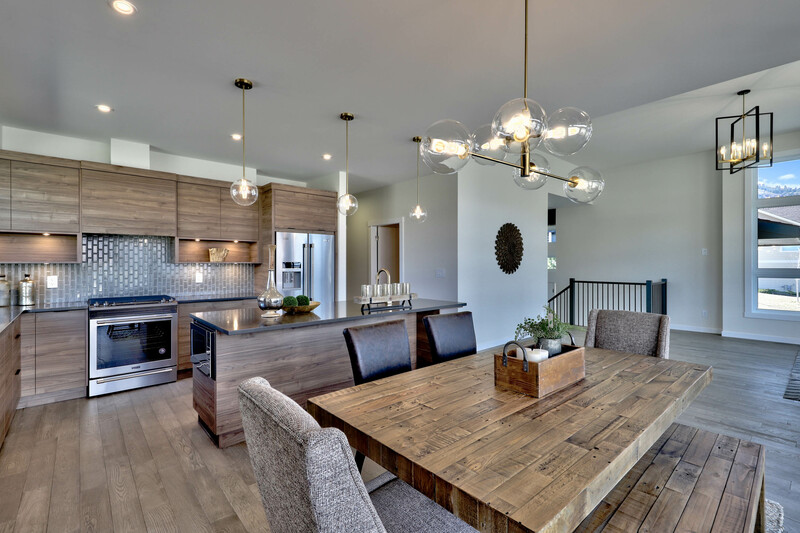 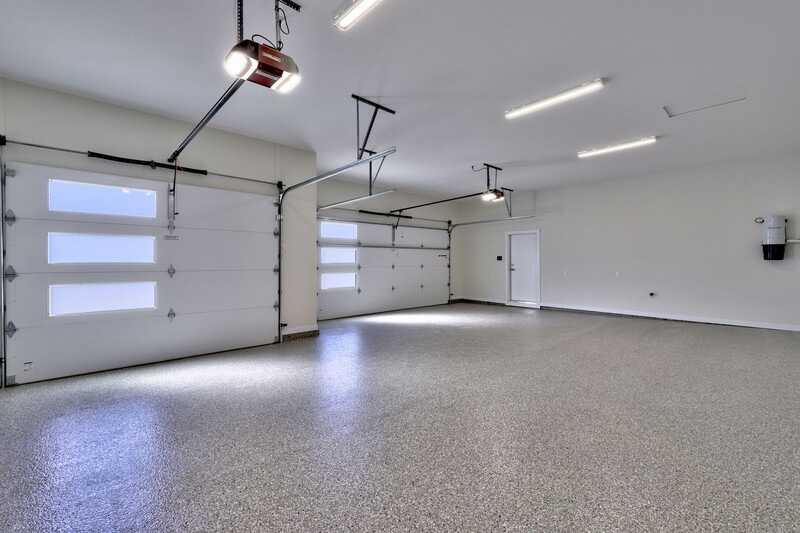 Other local partners, including DW Builders, Vanderstad Construction, and the Kamloops Home Hardware Building Centre helped make it possible to bring our design to life, and we look forward to working with them in the future!